Five years ago Business Continuity was in its prime, companies had large business continuity budgets, it was top of the agenda for the board, BS25999 was the fastest selling ever standard from the BSI and governments even passed laws compelling various organisations to carry out and promote business continuity. Back then, very few people would have been able to predict the rise of cloud computing, increased cyber-attacks and the Eurozone crisis. 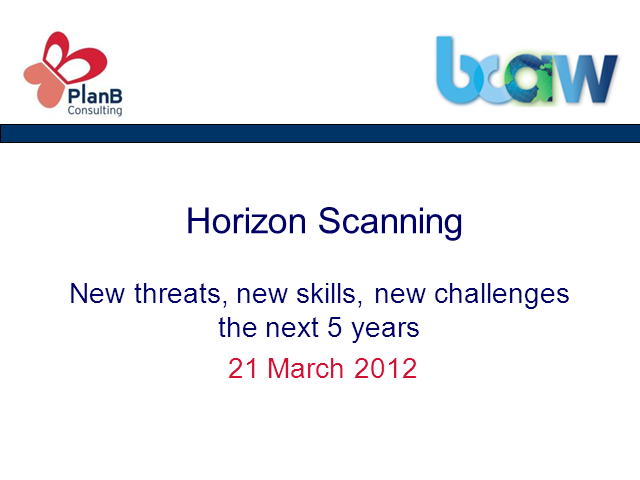 In Charlie’s talk, he will try and identify new threats that the Business Continuity Manager will face over the next five years. In addition, he will describe the challenges for the Business Continuity Manager and what new skills they will need to equip themselves with.